All our canvasses are printed using Epson Ultrachrome HDR inks, at a resolution of 1440 dpi to produce superb detail with deep blacks and vibrant colours. 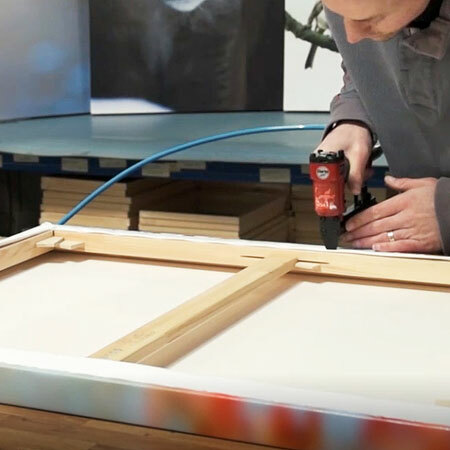 The canvas prints are then heat-sealed with a U.V. protective, gloss laminate – creating a scratch proof and water resistant surface that will last a lifetime. Next they are hand-stretched and wrapped around a sturdy wooden frame. 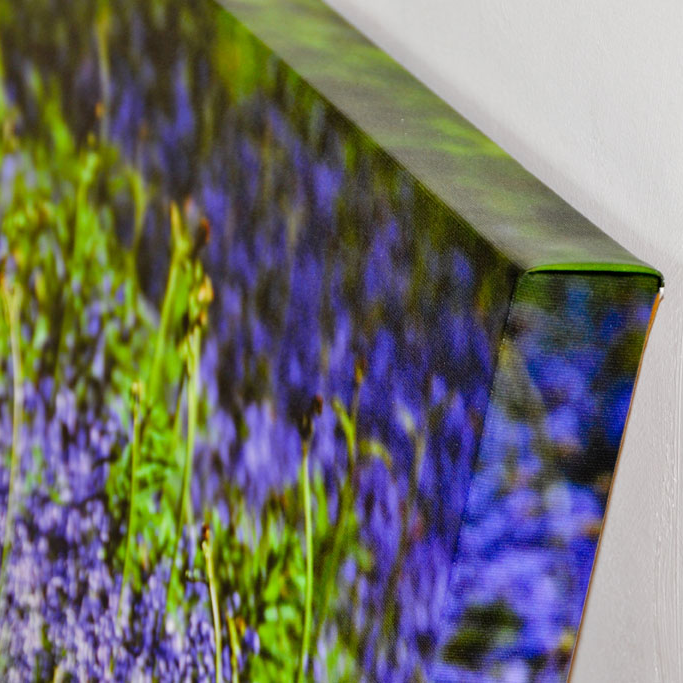 We then carefully fold all the corners, for that neat and inconspicuous appearance, with absolutely no cracking and then double wedge the corners for a perfectly tensioned canvas that is as tight as a drum! Finally we conceal the staples beneath brown framing tape for a neat and tidy finish, add some felt pads on each corner and supply all the parts so it is ready to hang on your walls. All our stretcher bars are made from wood that was sustainably sourced. You can choose a product from either our Standard Canvas Wrap or our Premium Gallery Canvas Wrap range. Looking for a low cost but exceptionally high quality canvas wrap to make a feature of plain walls in your home? 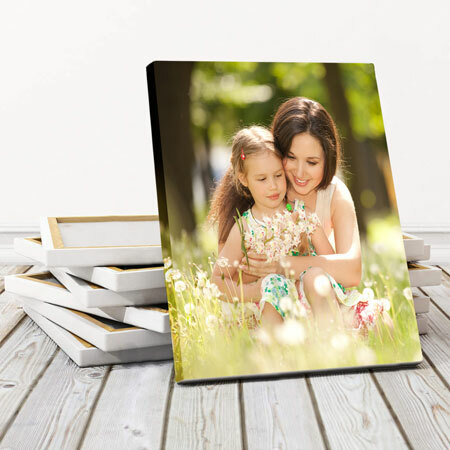 Upload your images now and choose one of our Standard Canvas Wraps (1 inch Image Wrap). These are printed on ‘FotoSpeed Polyester Canvas’ 260 gsm, a 100% polyester canvas with a bright white appearance and are then stretched around a 1” (25mm) deep wooden frame. These make a perfect gift for that someone special who needs some interior design TLC. For the ultimate, professionally finished, canvas wrap upload your images now and choose one of our Premium Gallery Canvas Wraps (2 inch Image Wrap). These are printed on ‘Harman by Hahnemühle’ heavyweight 450gsm canvas, a 100% cotton canvas with a finely woven natural structure, for a museum quality and archival print. These are then hand-stretched around a thick, 2” (50mm) deep wooden frame. Our Gallery Canvas Wraps use only the very best materials available on the market and we strongly believe that you will not find a better canvas wrap anywhere on the planet! Perfect for professional photographers – especially suited for fine-art and wedding photography.